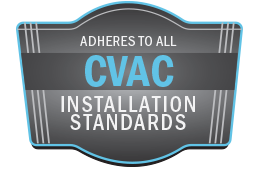 With almost 30 years in the business, Only Central Vacuums has installed over 4,000 central vacuums, making us the premier choice for central vac installation and service in the Spencer, Massachusetts and Worcester County areas. The owner, Dan Henderson, still works on every installation, so you can trust that you will receive the best service possible. We are members of the Vacuum Dealers Trade Association (VDTA), Central Massachusetts Builder's Association, and the Spencer Exchange Club. We sell high-quality central vacuums from MD Manufacturing, and we have the perfect unit and accessories for any home. From the smallest home to the largest, we have the best central vacuum system for you. Contact us today with any of your central vacuum questions or needs. Only Central Vacuum, your one-stop source for all your central vacuum needs!